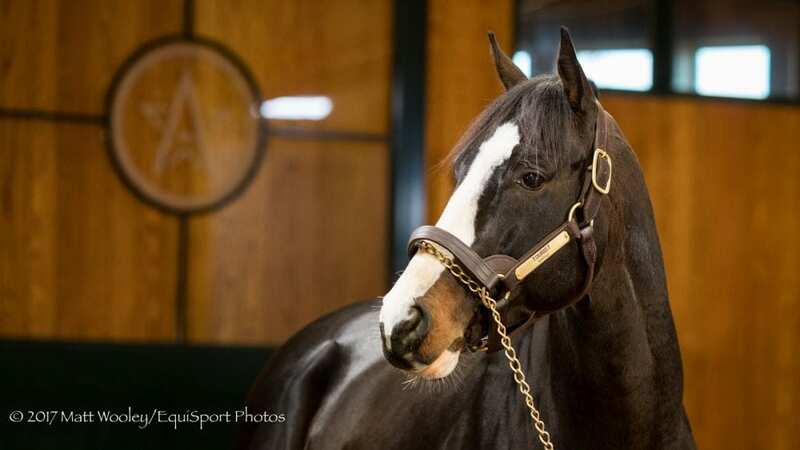 WinStar Farm's Tourist, Tiznow's multiple Grade 1 winner who closed his racing career with a record-setting victory in the 2016 Breeders' Cup Mile (G1), sired his first reported foal on the morning of Thursday, Jan. 11th when a bay filly was born at Endeavor Farm in Versailles, KY. Bred by Corey and CJ Johnsen's CJ Thoroughbreds, the filly is out of the stakes-placed and stakes-producing mare Blondz Away, a daughter of Skip Away out of the stakes-winning race mare Flo's Z Fury. Blondz Away has produced 2-year-old stakes winner Colonel Samsen. A WinStar homebred by Tiznow, Tourist won the Fourstardave H. (G1) at Saratoga in 1:34.29 before finishing the season as one of the world's best milers after his victory in the Breeders' Cup Mile (G1) at Santa Anita. He proved best over a world-class field of 14 in the prestigious event, outkicking champion Tepin and stopping the clock in 1:31.71. The final time established a new Breeders' Cup record for the fastest Mile in the storied 33-year history of the event. Campaigned by WinStar, Gary Barber, and Adam Wachtel, Tourist retired to stud in 2017 with career earnings of $2,170,340, making him the highest earner by Tiznow ever to retire to stud. He is out of the multiple stakes-producing Unbridled's Song mare Unbridled Melody, dam of four stakes winners from five starters to date. Tourist, whose stud career has been partnered on by Don Alberto Corporation, is set to stand his second season in 2018 for a fee of $12,500 S&N. This entry was posted in Bloodstock and tagged adam wachtel, Blondz Away, c.j. johnsen, corey johnsen, Don Alberto, gary barber, tiznow, tourist, winstar farm by Press Release. Bookmark the permalink.